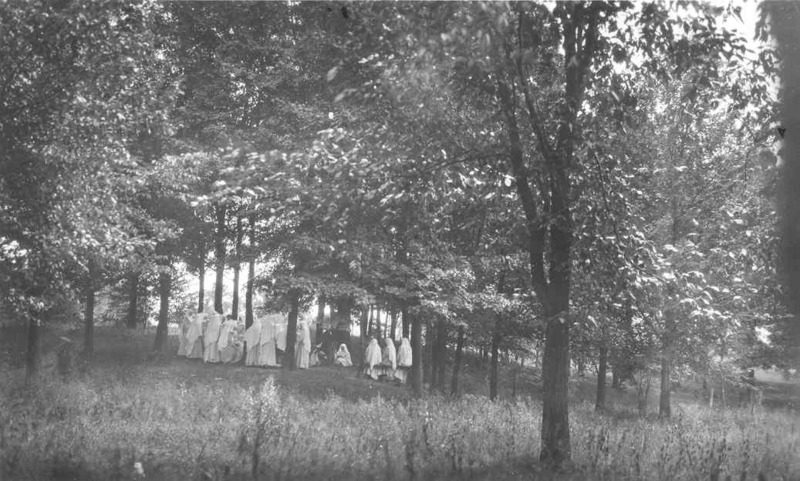 It was June 5, 1921, when the cornerstone for the new Dominican Sisters ~ Grand Rapids Motherhouse and future academy was laid on the property named Marywood on Fulton Street. Here are some highlights of the early years and expansion of education opportunities for girls and boys. Many girls from small towns and rural areas around Michigan attended school and boarded at Marywood. Young women aspiring to become Sisters, called Aspirants, arrived from countries in Europe and Canada. The Grand Rapids Dominican Sisters teaching presence in New Mexico was also attracting young women to Michigan. Construction was substantially completed in 1923, although tradesmen were still working when Sisters moved into residences in the Motherhouse and the school opened with 150 girls enrolled. The school, originally named Sacred Heart Academy, transferred from its its location on Ransom and Fountain in downtown Grand Rapids. In (year), the academy was renamed Marywood. In 1944, Blessed Imelda Kindergarten was built in the grove and Sisters taught girls and boys. Sisters taught Math, English, Latin, Science and more at the girls school, with boarding facilities, which remained open until 1969. In (year), the Sisters started a Montessori school “little red schoolhouse” on the grounds. In 1974 Marywood Academy’s high school closed; although the last senior class continued through graduation in (year). 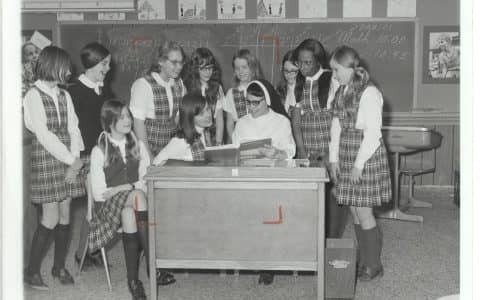 Girls continued to attend grade school at Marywood Academy until 1989. 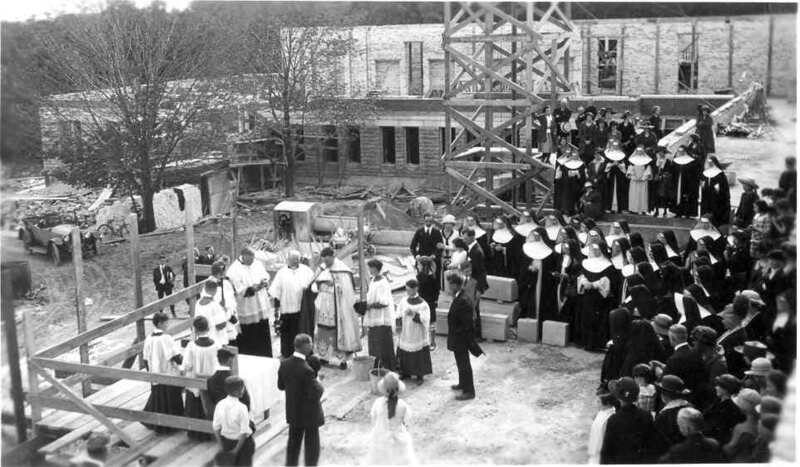 Laying the cornerstone of the new Motherhouse and academy on the Marywood Campus in 1921. Marywood’s scenic wooded acres have always been a source of joy and contemplation of the beauty of God’s Creation.